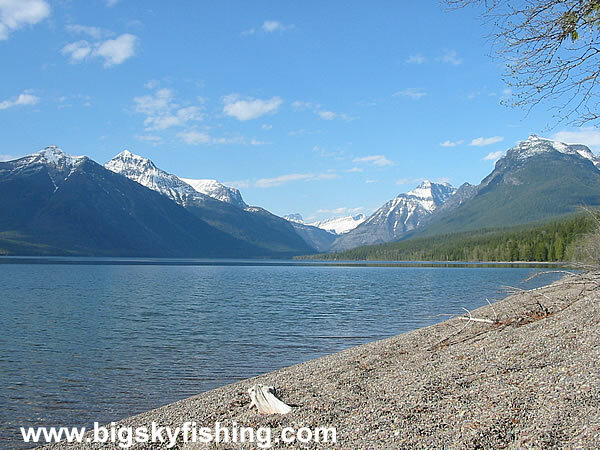 Lake McDonald in Glacier National Park has plenty of beaches. However, they aren't sand. Instead, the beaches along Lake McDonald are gravel. While the entire shoreline of Lake McDonald isn't like this, there are dozens of gravel beaches along the shore that make for superb spots for photography, picnicing and just lounging around. They are easy to reach, too, usually no more than a 100 foot walk from one of the many pullouts found along the Going to the Sun Road.